George Harrison’s sister has revealed her heartbreak over not being told the Beatles star was dying and in terrible pain until two weeks before he lost his battle with lung cancer. In an exclusive interview on the 15th anniversary of the music legend’s death, Louise Harrison tells DailyMail.com of her anguish and shock over the loss and reveals how a bitter family fall-out marred her relationship with the music legend in his final years. Louise, 85, claims that she and other siblings were left in the dark by George’s wife, Olivia, who had kept many of her husband’s medical issues from his family for years. 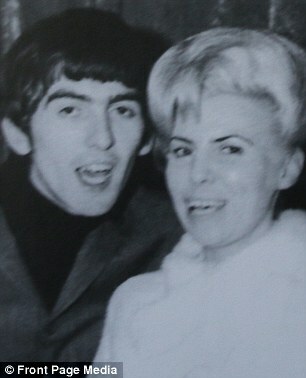 Louise is also angry that since George’s passing she has had no contact with her nephew Dhani. And she claims that her superstar brother would be ‘horrified’ that she was cut off by the estate from a $2,000-a-month pension. 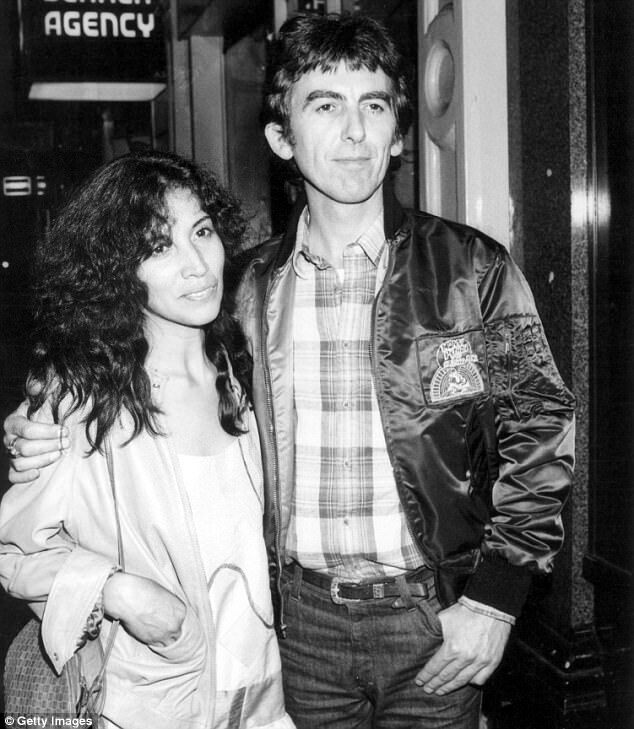 Representatives of Olivia Harrison did not respond to DailyMail.com’s request for comment. George was worth more than $300 million when he died on November 29, 2001, but Louise now struggles to get by – living in a modest home in small-town Branson, Missouri. While George, who was 58 when he died, left his widow Olivia and son Dhani the lavish Friar Park, a 120-room Victorian mansion in Henley-On-Thames just outside London, England, Louise still has to work to make ends meet – managing a touring Beatles tribute band. Louise reflects on how a decade and half ago, she said her farewells to her beloved brother by his bedside at a hospital in Staten Island, New York. But she remembers how the famed guitarist refused to wallow in his deteriorating state, preferring to laugh and reminisce about their childhood together. Speaking from her home in Branson she remembers how she heard the heartbreaking news that George’s health had deteriorated after a long-battle with lung cancer. She said: ‘I was in Toronto two weeks before he died when I finally heard that he was ill. I drove through New York, so I could try and get a chance to see him. ‘As luck would have it, I was able to get in touch with his doctor who gave me the information to go to see him and I was able to see him for a couple hours. Nevertheless, Louise was given the opportunity to say goodbye to her brother, who just 14 days later would pass away at Paul McCartney’s Beverly Hills mansion. To say a final goodbye Louise was led into her brother’s hospital room where she found a familiar, though diminished figure propped up in a reclining chair, clinging to life. 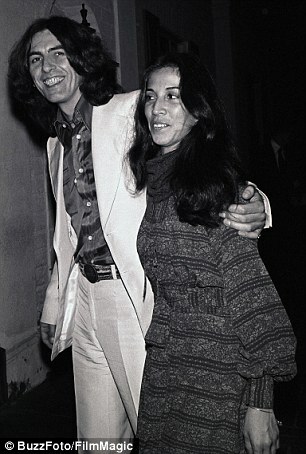 The only other people present were Olivia and her sister Linda, and nephew Dhani. They left Louise and George to hold hands and reconcile for almost two hours. ‘George was pretty frail, yet he was also still vibrant,’ she recalls. ‘His eyes were still bright. He was very happy. We hugged. We talked about the fun things that made us laugh when we were kids. All the family jokes we laughed over for years. It was a very emotional moment. ‘He was still George. He must have been in pain, but he didn’t show it. We reminisced about our childhood, and his sense of humor was the same as ever. As their time together drew to a close, George apologized to his sister. ‘You know, I could have been a lot more help to you; I’m sorry,’ he told her. Louise, who has opened up the family album showing previously unseen photographs of her and George, recalls: ‘He was pretty weak at that moment but he could still laugh. ‘One of our family jokes and sayings was, “Let’s see what’s round this next corner”. ‘When we used to go on vacation, our dad would always book us in a cottage somewhere, either in Wales or some other part of England. ‘We would take these walks and mum would see an interesting pathway, and the first time she said, “Let’s see what’s round this corner”, we had to keep going for four miles before we could get back to the road again. When the music legend died many questions were left unanswered as to where exactly did he die and where were his ashes scattered. An official LA County Coroner’s death certificate said that he died at 1971 Coldwater Canyon in Beverly Hills, 90210 – a fake address. But it was later changed to Paul McCartney’s home. Then, reports claimed that he was cremated at the Hollywood Forever Cemetery and his ashes were scattered in the Ganges and Yamuna River in India, in a private ceremony, according to his chosen religion Hindi tradition. But Louise says she too was left in the dark by her sister-in-law. ‘I know nothing about that. I mean if someone was so secretive that his siblings did not even know he was ill,’ she said. ‘Someone is being secretive for reasons that have nothing to do with me. ‘Poor George did not even get any peace when he died. If someone is trying to keep a secret, then everyone has to try and figure out what was true. Just be open about it. In his latter years, George made sure his sister was looked after financially. He set up a pension for Louise for tax reasons in 1980 and paid $2,000 into her account every month. However, almost a year to the day after the guitarist died, Louise was inexplicably cut off by George’s estate. She was not given a reason why the money stopped and several attempts to reach out to Olivia and Dhani were greeted with silence. 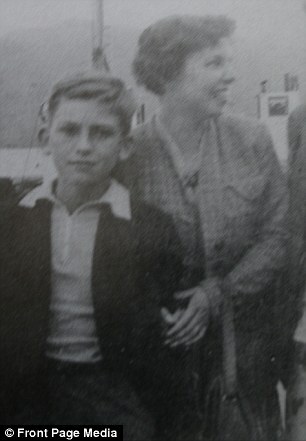 Since that day, Louise has not spoken with her nephew and she believes George would be devastated to learn of her estrangement. ‘My second husband was an alcoholic. Both of my husbands were alcoholics. I had been beaten up a few times. George said to me, “Don’t go get married again. You don’t seem to choose the right people very well. Let me fix you something to live on”. ‘It was supposed to be a lifelong pension. It was a small amount. That was fine. That was okay. While Louise admits many of her close friends are appalled by her plight, she refuses to let it upset her. ‘I made sure life moved on for me, and I have happily supported myself ever since,’ she explained. The loss of her pension isn’t the only gripe Louise has with George’s widow. The grandmother, who wrote the book, My Kid Brother’s Band A.K.A. The Beatles, before withdrawing it from the shelves, isn’t happy that she was excluded from Martin Scorsese’s HBO documentary about his life. She believes she was written out of his history. She says: ‘All my friends asked, “Did he get in touch with you?” I had to admit, “No”. But Louise refuses to mention Olivia by name in her rant. ‘A certain person, I am not mentioning any names, who was financing it, didn’t want me to exist,’ she says. ‘People are doing underhanded things for money. I am not even selling my book because I cannot be bothered going through all the hassle. Louise also shies away from discussing why, how and when she and Olivia ever fell out. ‘There is nothing to say,’ she said. She says he disapproved of the conversion of her old Illinois home into a ‘Beatles bed-and-breakfast’ inn, called A Hard Day’s Night. But while many Beatles fans will feel that the rift was likely prompted by Louise, she is quick to point out she remains emotionless about her sister-in-law. She added that even losing touch with her nephew is something that she no longer gets upset about. Louise said: ‘I knew Dhani when he was a small boy, but haven’t had any contact with him since George passed away. Despite the family drama, Louise is proud of her efforts to try to turn four fresh-faced young Scousers [from Liverpool] into the biggest band America and the world had ever seen. 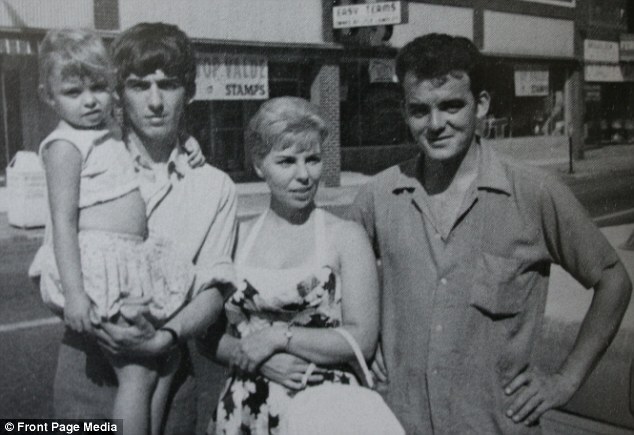 She moved to Illinois in the late 1950s with her Scottish mining engineer husband, Gordon Caldwell, and had two children, years before the Beatles themselves would launch a British ‘invasion’ in 1964. Back in England in the late ’50s, George had already met Paul McCartney on a bus in Liverpool and in 1958 aged 15 he joined Paul and John Lennon’s band The Quarrymen. 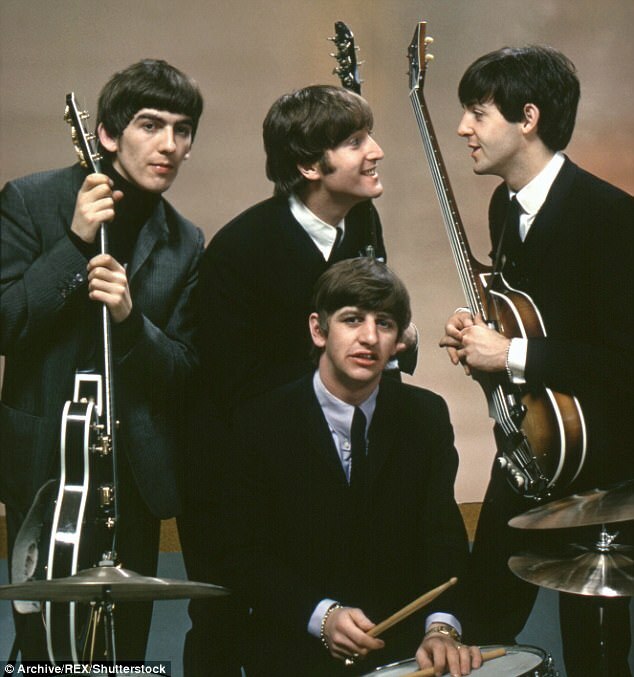 Ringo Starr joined the band, now named the Beatles, in August 1962. In October that year the band released Love Me Do in the UK and the nation became gripped by the four mop-tops and their sensational style. However, at that moment, the Beatles were unknown in America – a situation that their manager Brian Epstein hoped to change. Louise stepped up to the task and, incredibly, she got their hit From Me To You played on Chicago’s WLS radio on February 25, 1963 – the first known example of The Beatles getting airplay in the United States. Louise recalls: ‘I started running around all radio stations in the States saying quite innocently, “This is my kid brother’s band in England, they’re number one, maybe you would like to be playing their records”. ‘They were really looking down their noses at me like what on earth is this woman doing. 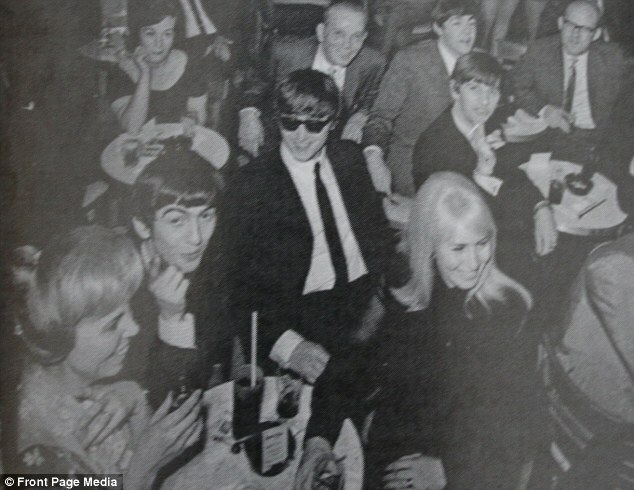 Louise said that she liaised with the Fab Four’s manager Brian Epstein telling him that she was pushing out records to stations to help John, Paul, Ringo and George succeed. She still has letters from Epstein, expressing gratitude for how she helped them break America. ‘I did all I could to help my kid brother,’ she says. 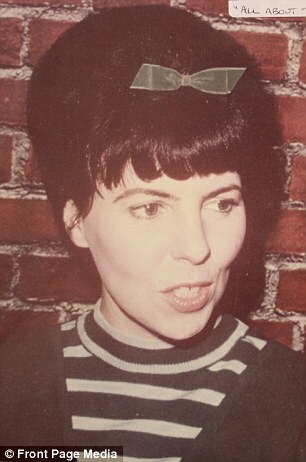 Louise also claims to have been instrumental in getting the Beatles signed to mega-label Capitol Records, who had initially turned down the band. 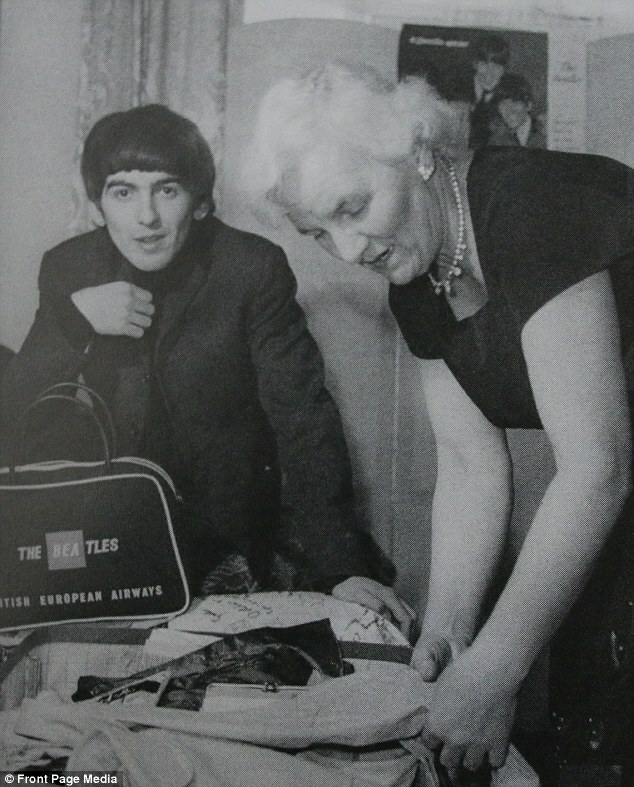 In 1963, George spent two weeks at Louise’s home. 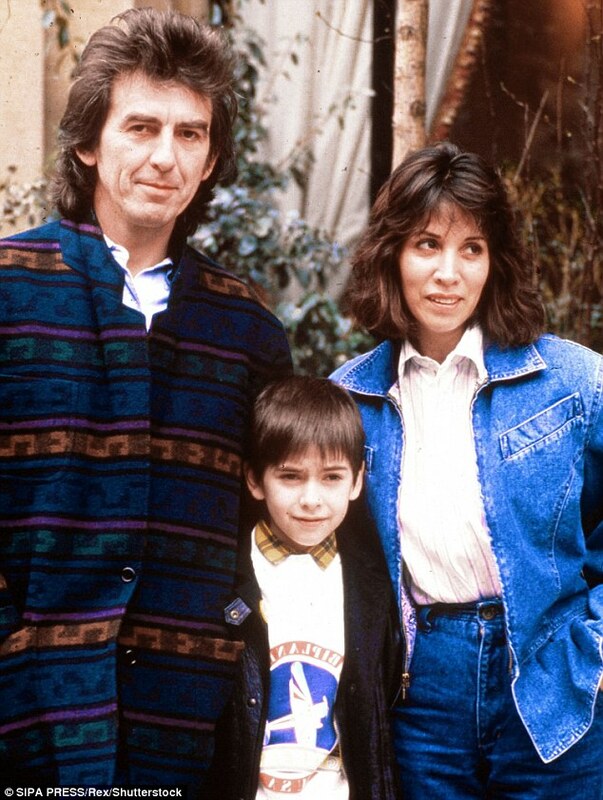 Since being cut from the estate, Louise has not spoken with her nephew, Dhani (pictured with his parents, George and Olivia, in 1988) and she believes George would be devastated to learn of her estrangement. She recalls how he was able to walk the streets unrecognized, he went camping and played with a local band in front of a small crowd of 150. Five months later he returned to the United States with The Beatles to appear on The Ed Sullivan Show watched by 73 million people – and the history of popular music changed forever. 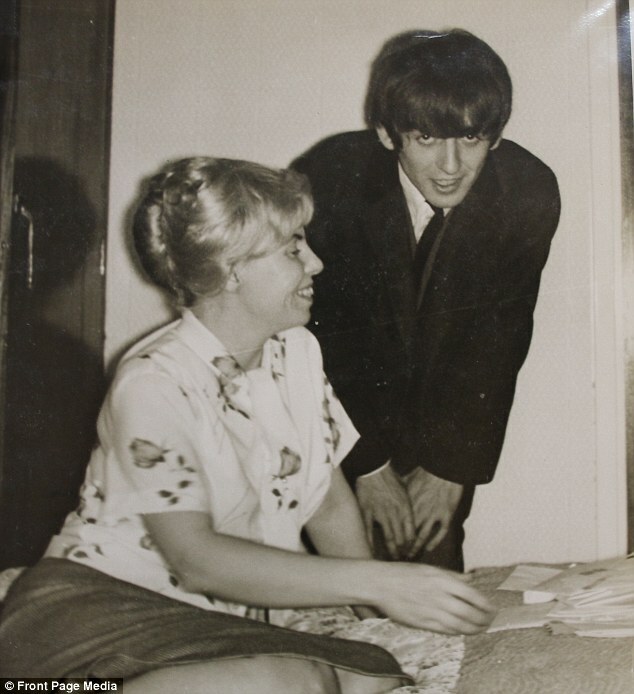 Louise traveled to New York to see her now world-famous brother and met John, Ringo and Paul and eventually George’s then girlfriend, Patti Boyd – for whom he would end up writing the ballad Something. 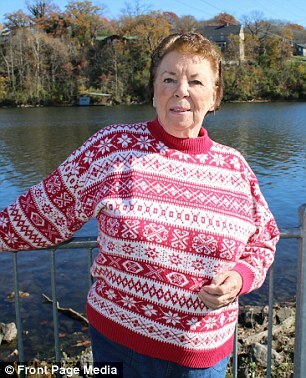 She recalls how she witnessed ‘Beatlemania’ take off. ‘It was chaotic,’ she recalls. ‘I had worked all year writing to Brian’s secretary Diane Vero, passing along all the information about the music business, including Capitol Records, which was one of the top three in the country. ‘I was passing those details on to them. When they came here Capitol Records themselves sent me my itinerary to be with them when they were in New York because they knew what I had done. ‘The funny thing was I remember Brian saying how grateful he was. Louise recalls how the two clashed over media opportunities with the band. 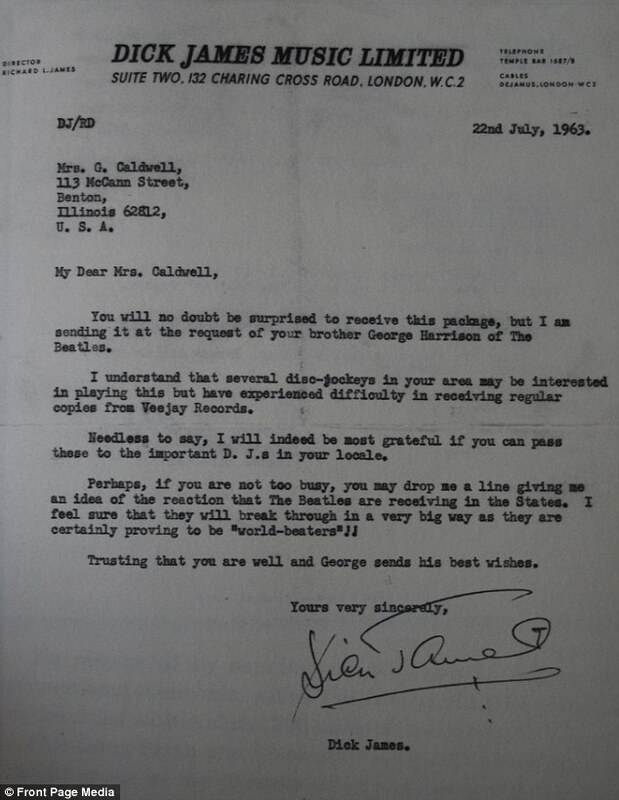 Louise says that tensions grew further when George fell ill during the important trip. ‘George had come down with a 104-degree fever,’ she remembers. ‘Brian refused to let George go to the hospital, so I had to be the nurse. ‘Every hour I gave him medication and do things like put ice around his neck. ‘He was at New York’s Plaza Hotel, and outside his room all these DJs from other radio stations were waiting in the hallway upset at not having an interview. ‘George told me, “I am never going to be able to get to sleep with all of this noise. These big DJ voice guys with their deep rumbling voices”. Louise recalls how she then agreed to travel to the radio stations with the DJs and gave them an interview. ‘At the station I went on air, was having a lot of fun and I suddenly realized it was time for George to have his medication, so I said I needed to call the hotel and talk to my brother for a minute. ‘The guy at the radio station said, “Hey, can we speak to George for a minute?” So he gets on the phone with these guys, plays a few chords, talks to them, and unbeknownst to me, they record this conversation with George. ‘It was only about five minutes. Then they took me back to the hotel and dropped me off. ‘Straight away every hour they played the interview. ‘Brian was furious at me because I had messed up an exclusive deal he had with another station and after that Brian wanted nothing to do with me anymore. Louise continues: ‘But I started to be mad at myself too as George was so ill, and hardly able to speak because his throat was so sore. ‘He was rushed around press conferences and photoshoots – they were treating him like he was a prop. ‘If I had any idea that this was how they were going to be treating him, I would never have ever wanted him to be on the radio. I was so hurt by the way they were treating him. 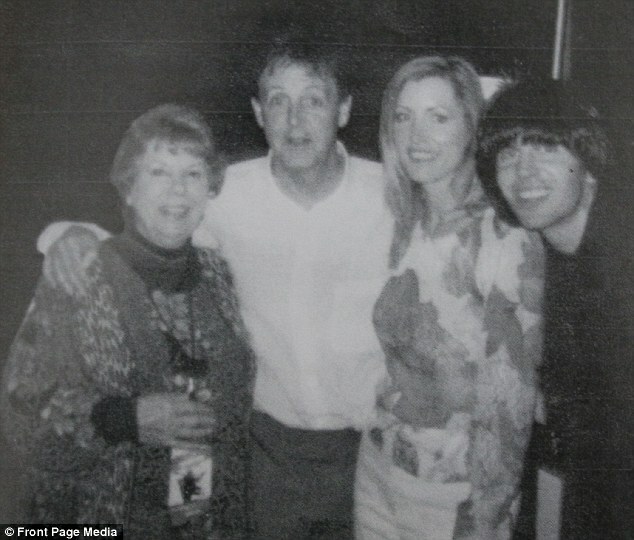 One of Louise’s favorite memories was getting to know John, Paul and Ringo’s personalities intimately. She fondly thinks back to those good times as if she’d found three new siblings. She says: ‘It was like getting three more brothers. They were really nice, down-to-earth. They never acted like they were big shots. They were just real, normal people. ‘My mom said,”‘No, no, that is just his protective wall that he has. He has been so badly hurt since he was a little child. His father abandoned them. His mother took off and then finally when he was in his teenage years was killed in front of his eyes, so that devil may care attitude of being snippy and everything is just his shield that he wears”. ‘Once she told me that, and I understood it, I was able to get along with him fine. ‘Paul was always the one, like if there was a crowd of people wanting autographs or pictures, would stay the longest. He would go to the most trouble to accommodate the fans. ‘Ringo was just a happy-go-lucky kind of guy. He just fit in with whatever everyone else was doing. As the Beatles became a global phenomenon and the number-one records piled up, so the band members’ bank accounts swelled. Louise saw a change in George’s life, one that he talked about with her. ‘As he became wealthy all of the predators came out of the woodwork and some of them actually became wives,’ she said. ‘That soured him a little bit. ‘As he said to me, “Initially when people make a lot of money they are regarded as tycoons, we are just regarded as targets”. ‘We talked for years and years. He knew I was one person he could talk to because I taught him how to talk and how to walk. Fans all around the world were devastated when the Beatles officially broke up in 1970. ‘It was just time, Louise says. ‘It had become such a burden for them to try to be together and do things together. They lived in their own houses and were no longer close to each other. They were married, had kids and wanted their own lives. Today Louise is still linked to The Fab Four, managing a successful Beatles tribute act called the Liverpool Legends in Branson, Missouri. Should George have not died from lung cancer on November 29, 2001, he would’ve been 73 years old. ‘For me, I do not think of the end of November as a sad day. In fact, that was the day that my first grandson was born.